With its cheerful simplicity italo could be easily classified as odd phenomenon of the dance music history, expected to resurface only at dance parties for the middle-aged. But italo’s appeal hasn’t really been ever lost and the genre keeps coming back with new productions in 2014 too. 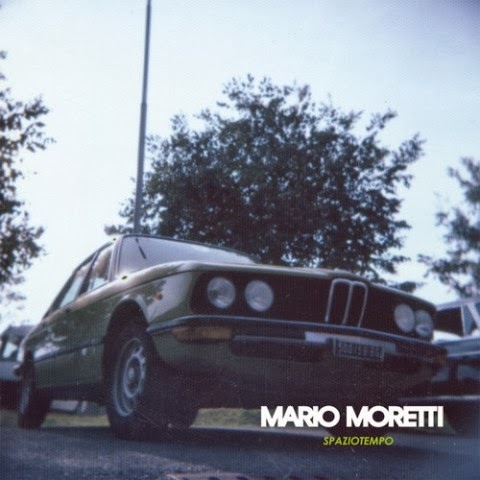 A recent example is Mario Moretti’s “Spaziotempo” EP, a teaser for the upcoming album by Lithuanian producer Andrius Kurkinas, released on Dutch imprint Bordello A Parigi. Clad in a picture sleeve appealing both to car-crazy fathers and their sons, the EP’s title track is an euphoric number with catchy rhythm and flying synth riffs, followed by Frank Underwear’s “Drama Dub” version. First tones of “Multiverse” remind of end-80s euro house before arpeggios and sweet strains take the control, followed by “Rush”, which skillfully negotiates curves encouraged by blurred female sample. Utterly energizing and melodic, “Spaziotempo” is looking at the bright side of the life. Notwithstanding the fact that real-life Mario Moretti, a former terrorist and kidnapper, belonged to Italian Red Brigades.